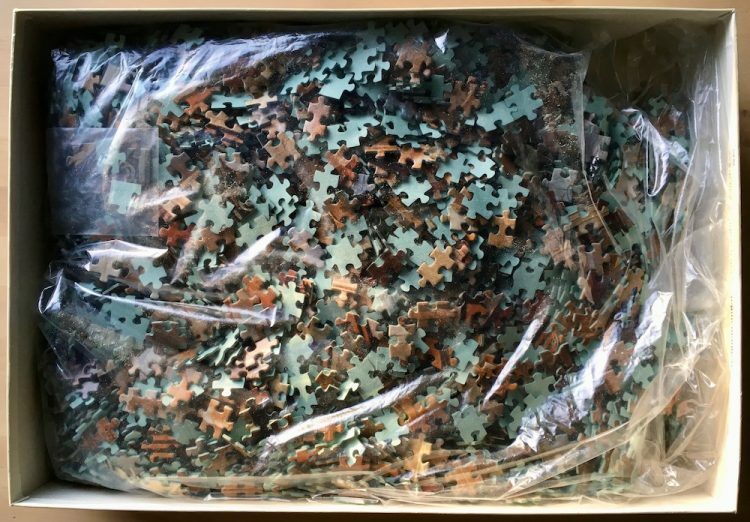 Educa manufactured this puzzle in 1996 and it is very difficult to find. In fact, since Rare Puzzles started three years ago, this is the first time we have been able to list it. The title is The School of Athens, by Raphael. You can know more about this artist here. The puzzle is COMPLETE (5000 pieces). 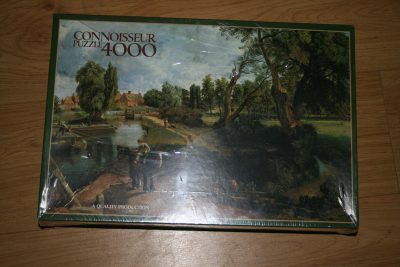 The pieces are in excellent condition and the box is in very good condition, with just some minor shelf wear and not tears. 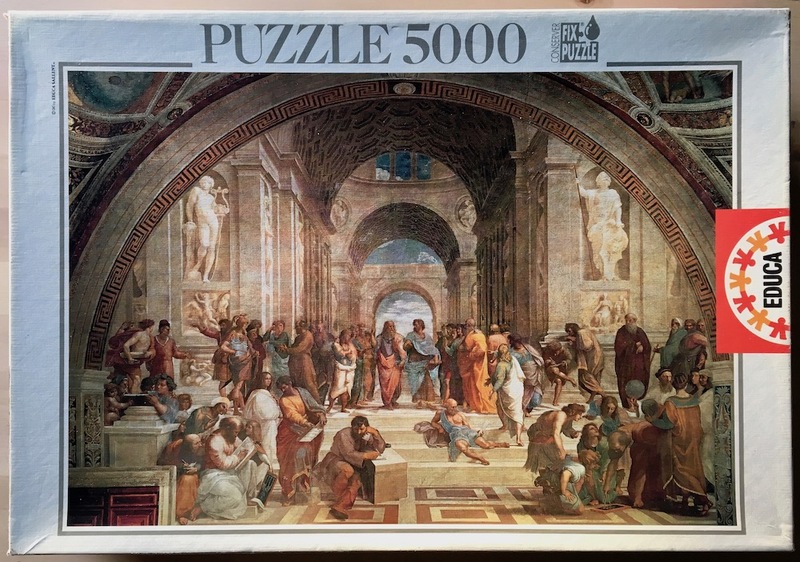 There are different large versions of this puzzle by different brands. Educa published an 8000 pieces version in 2007.